Iwis #60 attachment roller chain is apart of the Rapid Service program for attachment roller chains, which means that it can be assembled with the fastest delivery times. 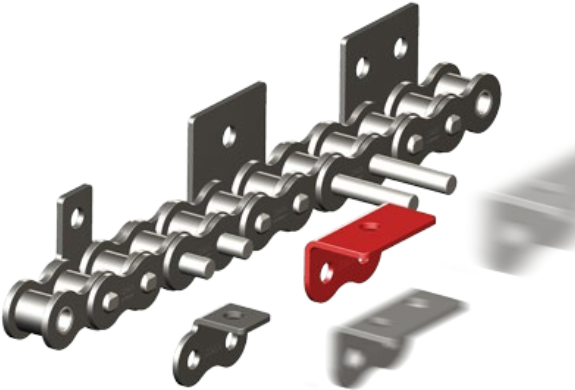 Iwis attachment chains are assembled with high quality roller chain and high quality attachments making these attachment roller chains have high strength, durable construction, and great performance throughout the entire working life of the chain. To get a quote on #60 attachment chains or loose #60 roller chain attachment links please contact us.